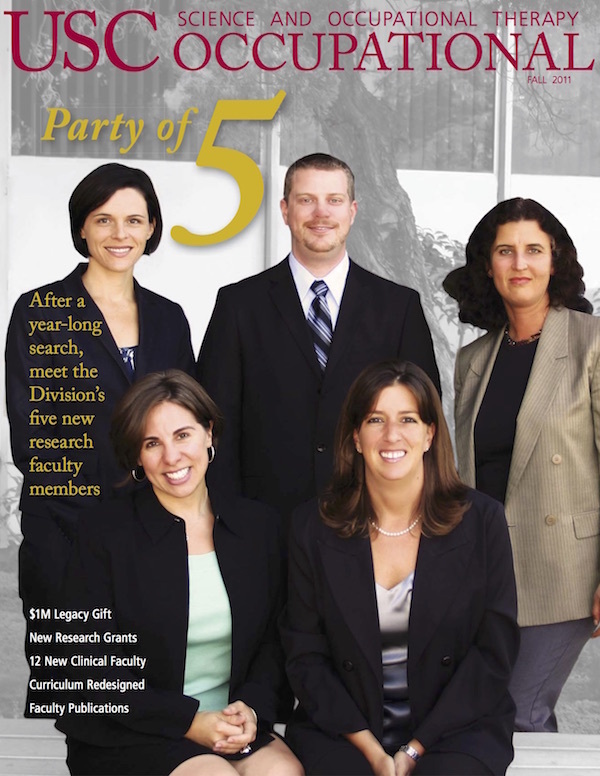 Party of Five: What do geriatric fall prevention, diabetes management, work injury diagnostics, autism-focused linguistics, and behavioral neuroscience have in common? They are the five research disciplines of the newest cohort of tenure-track faculty appointed to the USC Division of Occupational Science and Occupational Therapy. $1M Gift Largest in USC OT History: In June, the USC Division of Occupational Science and Occupational Therapy was notified that a one million dollar unrestricted legacy gift was bequeathed to the Division. The gift, made by an anonymous alumni donor, is the largest single gift in any form in the nearly seventy year history of occupational therapy at the University of Southern California. First Division White Coat Ceremony: The Division of Occupational Science and Occupational Therapy hosted an inaugural White Coat Ceremony at the Pappas Quad on USC’s Health Sciences Campus on August 26th.